This task is most difficult when a cycle changes. As we are in the late innings of the current cycle, euphoria is rampant, and everyone is bullish. During these periods, as risks are peaking, it is very challenging to be conservative and make less than your neighbors. It is equally difficult taking an aggressive stance at the depths of a recession, when risk is low, despair is acute, and everyone is selling. What we know is that a downturn in the economy, a recession, is out there. It is coming, and as Warren Buffett’s top lieutenant Charlie Munger points out in the quote above, successful navigation comes down to trying to make as few mistakes as possible. In May 2019, the current economic expansion will tie the expansion of 1991-2001 as the longest since at least 1857 as shown below. Since gingerly exiting the financial crisis in June 2009, the economy has managed to maintain a growth trajectory for ten years. At the same time, it has been the weakest period of economic growth in the modern era but has delivered near-record gains in the stock market and significant appreciation in other risk assets. The contrast between those two issues – weak growth and record risky financial asset appreciation make the argument for caution even more persuasive at this juncture. Although verbally reinforcing his optimistic outlook for continued economic growth, Federal Reserve (Fed) Chairman Jerome Powell and the Federal Open Market Committee (FOMC) did not inspire confidence with their abrupt shift in monetary policy and economic outlook over the past three months. 1. Despite the turmoil of the fourth quarter, the stock market has rebounded sharply and now sits confidently just below the all-time highs of September 2018. However, a closer look at the entrails of the stock market tells a different story. Since the end of August 2018, cyclically-sensitive stocks such as energy, financials, and materials all remain down by roughly 10% while defensive sectors such as Utilities, Staples and Real Estate are up by 7%. 2. Bond markets around the world are signaling concern as yields are falling and curves are inverting (a historically durable sign of economic slowdown). The amount of negative yielding bonds globally has risen dramatically from less than $6 trillion to over $10.5 trillion since October 2018. Since March 1, 2019, 2-year U.S. Treasury yields have dropped by 35 basis points (bps), and 10-year Treasury yields have fallen by 40 bps (a basis point is 1/100th of a percent). 2-year Treasury yields (2.20%) are now 0.30% less than the upper-bound of the Fed Funds target rate of 2.50%. Meanwhile, three-month Treasury-bill yields are higher than every other Treasury yield out to the 10-year yield. This inversion signals acute worry about an economic slowdown. 3. Economic data in the United States has been disappointing for the balance of 2019. February’s labor market added just 20,000 new jobs compared with an average of +234,000 over the prior 12months. This was the first month under +100,000 since September 2017. Auto sales (-0.8%) were a dud and consumer confidence, besides being down 7 points, saw the sharpest decline in the jobs component since the late innings of the financial crisis (Feb 2009), reinforcing concerns in the labor market. Retail sales and the Johnson Redbook retail data also confirm a slowing/weakening trend in consumer spending. Lastly, as we pointed out at RIA Pro, tax receipt growth is declining. Not what one would expect in a robust economy. 4. As challenging as that list of issues is for the domestic economy, things are even more troubling on a global basis. 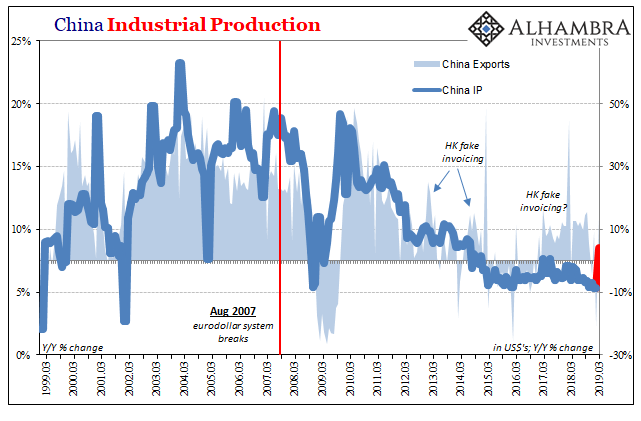 The slowdown in China persists and is occurring amid their on-going efforts to stimulate the economy (once again). China’s debt-to-GDP ratio has risen from 150% to 250% over the past ten years, and according to the Wall Street Journal, the credit multiplier is weakening. Whereas 1 yuan of credit financing used to produce 3.5 yuan of growth, 1 yuan of credit now only produces 1 yuan of growth. In the European Union, a recession seems inevitable as Germany and other countries in the EU stumble. The European Central Bank recently cut the growth outlook from 1.9% to 1.1% and, like the Fed, dramatically softened their policy language. Turbulence in Turkey is taking center stage again as elections approach. Offshore overnight financing rates recently hit 1,350% as the Turkish government intervened to restrict the outflow of funds to paper over their use of government reserves to prop up the currency. 5. The Federal Reserve (and many other central banks) has formalized the move to a much more dovish stance in the first quarter. On the one hand applauding the strength and durability of the U.S. economy as well as the outlook, they at the same time flipped from a posture of 2-3 rate hikes in 2019 to zero. This shift included hidden lingo in the recent FOMC statement that appears to defy their superficial optimism. The jargon memorialized in the FOMC statement includes a clear signal that the next rate move could just as easily be a cut as a hike. Besides the dramatic shift in rate expectations, the Fed also downgraded their outlook for growth in 2019 and 2020 and cut their expectations for unemployment and inflation (their two mandates). Finally, in addition to all of that, they formalized plans to halt balance sheet reductions. The market is now implying the Fed Funds rate will be cut to 2.07% by January 2020. 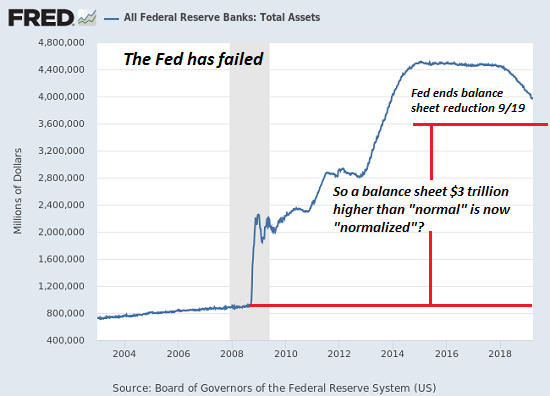 Based on the radical changes we have seen from the central bankers and the economic data over the past six months, it does not seem to be unreasonable to say that the Fed has sent the clearest signal of all. The questions we ask when trying to understand the difference between actions and words is, “What do they know that we do not”? Connecting those dots allows us to reconcile the difference between what appears to be an inconsistent message and the reality of what is written between the lines. The Fed is trying to put a happy face on evolving circumstances, but you can’t make a silk purse out of a sow’s ear. 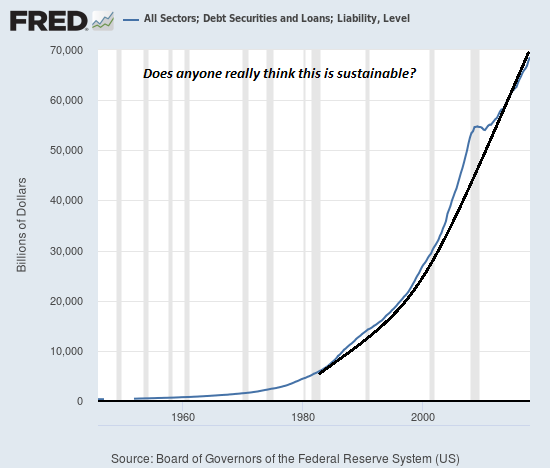 The economic cycle appears to be in the midst of a transition. This surprisingly long expansion will eventually end as all others have. A recession is out there, and it will make an appearance. Our job is not guessing to be lucky; it is to be astute and play the odds. Reality reveals itself one moment at a time as does fallacy. Understanding the difference between the two is often difficult, which brings us back to limiting mistakes. Using common sense and avoiding the emotion of markets dramatically raises one’s ability “to be consistently not stupid.” A lofty goal indeed.